History Schmistory: February 11. Science fiction meets Television, and the “robot”. 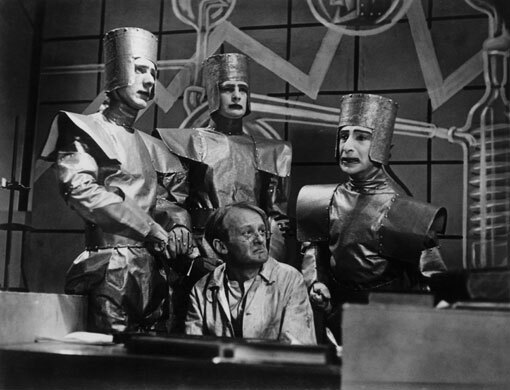 1938: BBC Television produces the world’s first ever science fiction television program, an adaptation of the Karel Capek play R.U.R., (Rossum’s Universal Robots.) 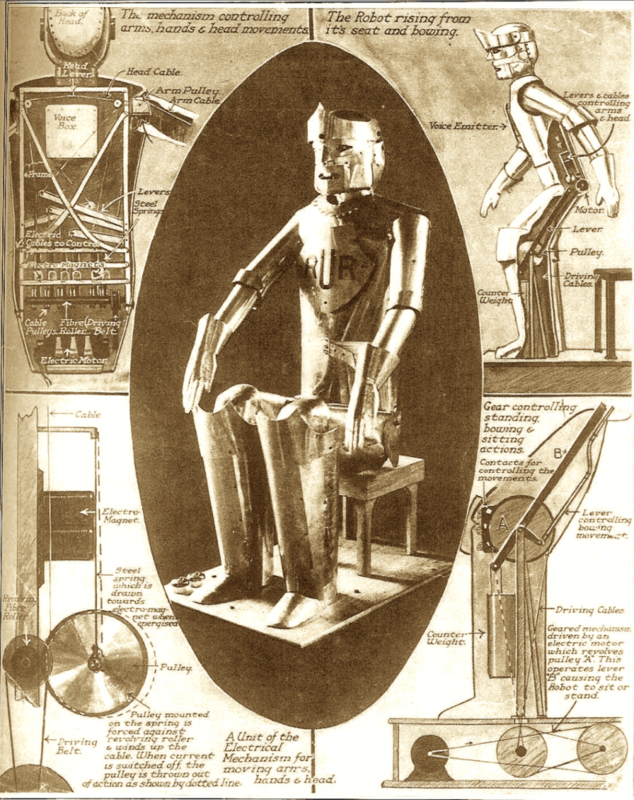 The play, first produced in Prague in 1921, introduced the term “robot” to the English language and to science fiction as a whole. The adaptation begins in Rossum’s humanoid factory, where subservient machines called robots are built. These popular robots were so incredibly lifelike and efficient, able to think comprehensively and make their own decisions, that they were often mistaken for humans. Of course, the robots at this point have begun to rebel against their owners and by the end they wipe out the entire human race. -Oh yeah, spoiler alert! Pretty sure you saw that coming, though. Well, R.U.R. is really where it all started! Previous OK, Edison, it is your birthday and all. Next History Schmistory: February 12. Don’t Scream!